With six Olympic Gold Medals and eleven World Championship Gold Medals, Sir Chris Hoy is one of GB’s most successful Olympic athletes. Following his success at the Beijing Olympics, where he became the first Briton since 1908 to win three gold medals at a single games, he was voted the BBC Sports Personality of the Year in 2008 and knighted in the New Years Honour list in 2009. His achievements have made him the most successful male Olympic cyclist of all time. Sir Chris Hoy has been competing in various sports since he was seven years old. From the age of seven through to fourteen, he raced BMX and was Scottish Champion, British No 2, European No 5 and World No 9. He was sponsored by Kwik-Fit and Slazenger and raced all over Britain, Europe and USA. He continued cycling through his teenage years. He also rowed and played rugby for his school, George Watson’s College. He rowed for Scotland and won a British Championship silver in the Junior Coxless Pairs. Chris joined his first cycling club, Dunedin CC, in 1992, run by Ray and Doreen Harris. Over these early years, he raced Time Trials, Mountain Bike, Road and Track. As the other events dropped away, Chris concentrated on Track and in 1994, he joined The City of Edinburgh Racing Club, the most successful track club in Britain. Since turning senior, Chris has concentrated on track sprint cycling and has been a member of the Great Britain National Squad since 1996. In addition to his sporting achievements, he studied at the University of St Andrews where he was voted Sportsman of the Year 1996, and was awarded his Blues in his first year. He transferred to Edinburgh University where he graduated in 1999 with an BSc Honours in Applied Sports Science. In 2005, he was awarded two Honorary Doctorates, one from the University of Edinburgh and another from Heriot Watt University. 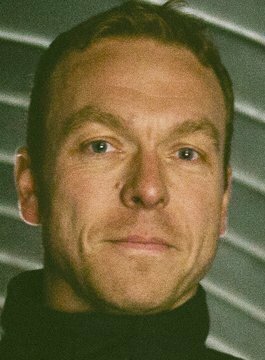 Sir Chris Hoy won a further two gold medals (in the Keirin and Team Sprint) at the London 2012 Olympics, making him the most successful British Olympian of all time. As an accomplished keynote speaker, Sir Chris has delivered motivational speeches small intimate gatherings as well as the largest international conferences around the world. Chris’ experiences and achievements make him an incredibly interesting speaker. He discusses the challenges which were presented to him and subsequently overcome during his stellar career have fascinating parallels in many other walks of life.